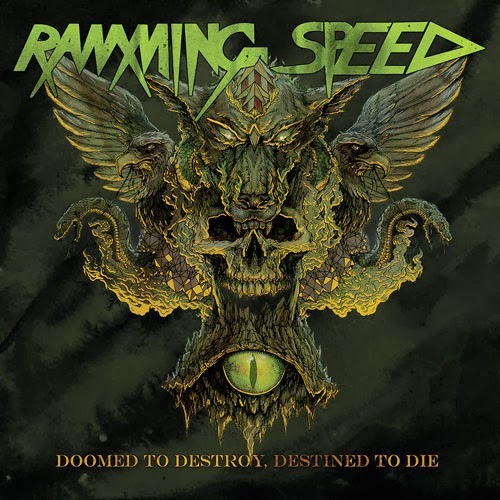 Better known as the band that never stops touring, Ramming Speed have inevitably made themselves known to audiences across the world one way or another; whether it's from their relentless touring where they pop up at hundreds of shows in the span of a year or by an advertisement for their latest release. The band have established themselves over the course of two EPs, two LPs, a split and a compilation release since 2007 and show no signs of slowing down anytime soon. 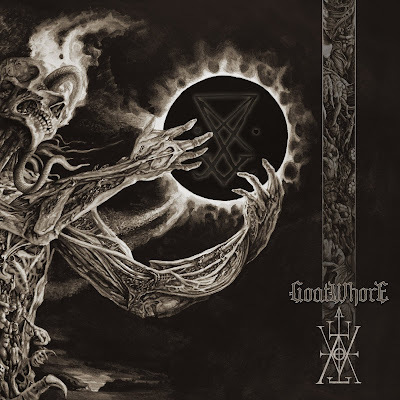 Doomed to Destroy, Destined to Die is the latest release in the group's discography, making it's appearance five long years after their debut full-length album. Was it worth the wait? 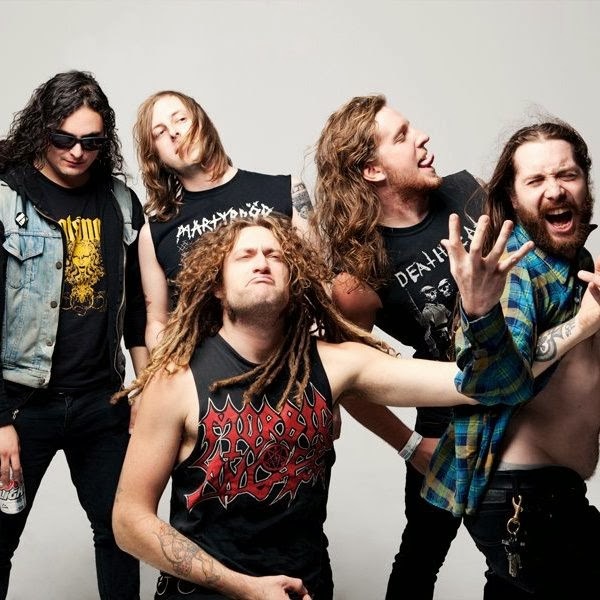 Ramming Speed take tiny pieces of other genres and fuse them together to create the material that is delivered in this latest release; think of the mix as 60% thrash entwined with 35% punk while the leftovers are split up between your regular heavy metal and NWOBHM. The audio is aggressive in every aspect imaginable, it's a quick tempo war field dominated with booming bass lines, mercurial guitars and all the while the listener is being barked at by General Peter Gallagher whose vocals take on various styles from track to track. This sounds like every thrasher's dream, doesn't it, where could the content possibly fall short with all of these chemicals waiting to explode like a napalm bomb? The answer lies within the ever so tyrannical downfall of repetition. Repetition at this point has to be metal's worst enemy, as it is becoming increasingly prevalent in recent releases and unfortunately Ramming Speed are no exception. With the exception of the sludgy tracks "Hollow Giants" and "Ministry of Truth" there is very little that defines each song. The listener will find themselves confronted again and again by repetitious standard blast beat drumming that offers little deviation other than some additional cymbal crashes and drum rolls plugged in here and there. The dueling guitars are a chaotic blitz of palm muted riffs mostly made up by power chords until the lead guitar breaks off and gives a brief taste of a well timed ripping solo. 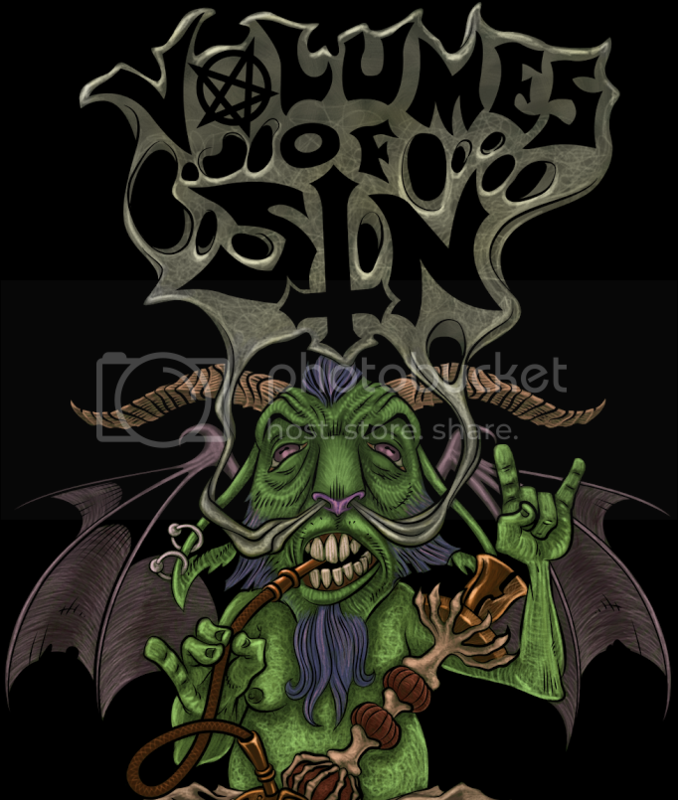 Providing multiplicity to the album are the vocals, which alter between general thrashy temperaments to punk influenced yell-speak and even grindcore screeches. The bass also adds to the variation on the release with intensely quick walking lines and abrupt fret changes, often standing out more-so than either the lead or rhythm guitars; especially in "Under the Monolith" when it takes on the role of a dominate solo while the other two guitars duel away underneath the track layer of the bass. Doomed to Destroy, Destined to Die is an album that conveys a high amount of aggression and intensity, as such it has powerful potential. It's really a shame that there is such a high amount of reiteration from one track to another. The tempos could stand to vary more than they do, and more unique guitar riffs could stand to be incorporated into Ramming Speed's song regime. Despite these flaws the album is likable and many will find enjoyment within it, especially for the shredding solos and outstanding bass guitar. Definitely worth a try, but don't much more than what most thrash metal already offers, with a few exceptions including a well heard Black Flag influence inlaid in many tracks.